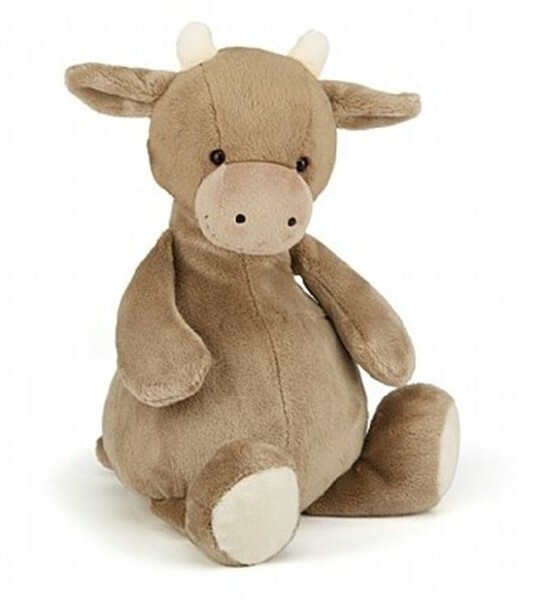 Melly is a big 16 inch velvety soft cow in a creamy café au lait color! Perfect for your baby or toddler to love and carry everywhere. How perfect in a farm theme gender neutral nursery?